Visual Studio Code>Themes>Variant ThemeNew to Visual Studio Code? Get it now. Fresh theme based on the colors of variant.no. 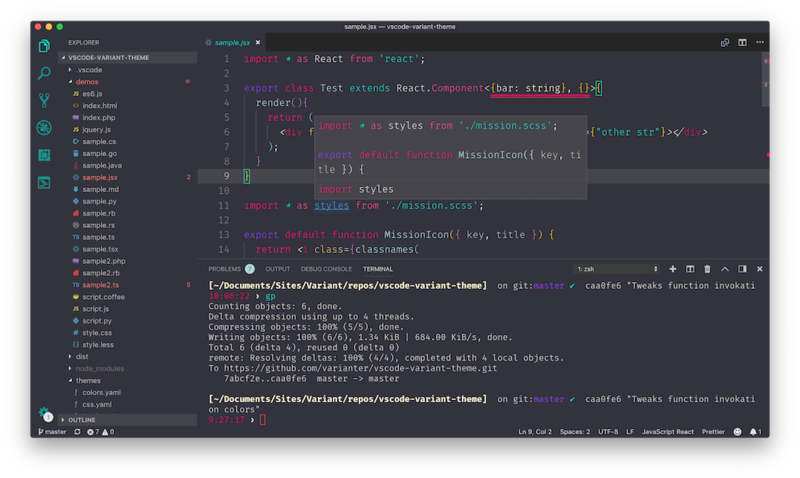 This theme is based on the Panda VSCode theme.